Discover how Leviticus is actually all about Christ - not dutiful law-keeping. For many Christians, the Old Testament book of Leviticus tends to be largely unknown and unread. However, the Christian gospel - which presumes a knowledge of sacrifice and atonement, of law and grace, of sin and obedience, of defilement and cleansing, and of priesthood and temple curtains - makes little sense without the background it provides. 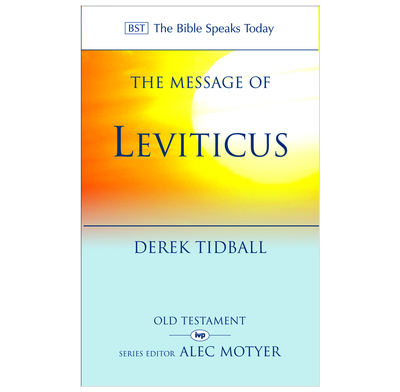 Derek Tidball believes that Leviticus is of foundational importance for our understanding of God, the gospel and Christian living, and that it needs to be taught and preached to congregations today. It even has much to say about the creation of healthy societies. In this excellent exposition, he shows how Leviticus serves as a preliminary sketch of the masterpiece that was to be unveiled in Christ, and unfolds its testimony to a faith not of law but of grace, not of duty but of love, not of drudgery but of gratitude - and to God's people set free to be holy. Part of The Good Book Company's Commentary List, this commentary has been selected because it not only deals faithfully and carefully with God's Word but is readable, practical and accessible as well.